For more than nine decades, New Bethel CME Church has been spreading the message of Christianity through church services and Bible studies. Aside from offering an enlightening atmosphere for spiritual development, it is our mission to reach out to the poor and make their lives better. We sponsor many outreach ministries to help underserved communities in Rochester, NY and surrounding areas. Under the guidance of our church leaders, we have established a foundation of trust with the residents in and around the area. Over the years, we have been successful in our goal as a church and a body of Christ: to be a living testament of the Word of God and a blessing to the people around us. To learn more about the history of our church, click here. New Bethel CME Church is more than just an institution. We are a family that seeks the will of God and lives in accordance to His Word with our fellow brothers and sisters. Come and join our growing church today and be a testament of salvation and grace to other people. Contact our staff to learn more about our church services and outreach programs. For more than 90 years, the church leaders of New Bethel CME Church in Rochester, NY have been providing spiritual guidance to many families and individuals who wish to strengthen their relationship with the Lord. No matter what difficulties you are facing today, count on us to bring you closer to Christ. Attend our worship services to feel the loving presence of God. From one generation to another, our church has been continually blessed with god-fearing and charismatic leaders, and one of them is Rev. 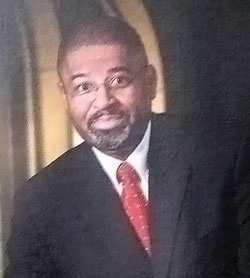 Dr. Weldon G. Thomas. He has served and led thousands of people closer to the Lord for more than a decade of service in our church. Through the years, the Holy Spirit has guided him to successfully lead several church organizations, government agencies, and state universities. Are you searching for a deeper meaning in your life? Talk to one of our pastors today, and they will help you discover God’s purpose for your life. With a better understanding of His Word, we assure you will feel refreshed and renewed. For more information about our Methodist church, get in touch with us today.